Acne is red bumps on the skin that are inflamed and painful. These bumps can be blackheads, whiteheads, pimples, or cysts. 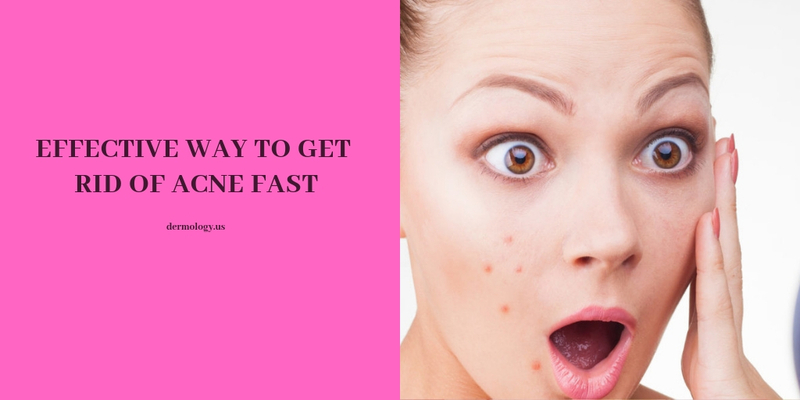 Everyone gets acne and wants to get rid of them now and then. Acne can appear anywhere on the skin, but they most often appear on the face. Any things may cause acne, such as hormones, stress, genetics, and an unhealthy diet. Acne occurs when the pores on your skin become blocked with oil, dead skin, or bacteria build up. Wash face twice a day with soft cleanser, it removes excess oil, dirt, and sweat. Exfoliate your skin three times a week. Don’t scrub your face hard with a washcloth It can irritate the skin and pores. Keep your skin moisturized and remove all of your makeup so it doesn’t clog your pores. If you are looking for a solution to get rid of acne try Dermology Acne cream solution. It is formulated with antioxidants to fight impurities and treat the root cause of Acne. Jessy is a blogger with wide interest in training, health and personal development. She strongly believes that competency skills are essential for a fast changing world. Besides, she also focuses on human health which is inter related to working performance. She is also researching for pregnancy exercises, workouts to get better shape etc. Your Acnes are yelling: Are you listening? Dermology is a widely recognized line of skin care products with globally approved dermatological researches backing for authenticity. Dermology.us is a platform where you can find considerably wide range of effective skin care products. Here you’ll get one of the best natural skin care systems. Copyright © 2019 Dermology.us. All Rights Reserved.